White Bulb on Hair Follicle – A Sign of Hair Loss? While the loss of hair with a white bulb attached can be a normal occurrence, you may have reason to worry if the loss of such hair is excessive. This can be an indicator of telogen effluvium or pattern baldness and, without treatment, can worsen. In this post, I’ll break down the structure of the hair strand, as well as the hair growth cycle. You’ll learn what the white bulb is, and whether its presence on the base of your fallen hair is a sign of hair loss. In addition, I’ll show you a few ways you can put an end to excess hair loss, and ways to treat conditions related to telogen thinning, including stress relief and diet overhaul. The White Bulb – What Is It? The one thing that scares people about the presence of a white bulb is its confusion with the root. After all, hair grows from the root, so no root means no more hair growth. There’s good news however; the bulb is not the root itself. Instead, it’s the part of the hair strand that is the closest to the root throughout the growth cycle. When a bulb is present on the end of a hair strand, all it means is that the hair was lost at the root. This is indicative of a telogen phase hair, and it doesn’t mean Male-Pattern Baldness (MPB) or other types of hair loss (such as alopecia areata) in and of itself (1, 2). It also doesn’t mean that further hair growth cannot occur (as loss of telogen hair does happen naturally during the hair growth cycle). But what happens when hair is lost without the bulb? All hair lost at the root will contain a bulb. It may be small or large, white or pigmented. However, the bulb is always present when it comes from the source (that is, the follicle). Through the strengthening of your hair, you can easily avoid premature breakage. 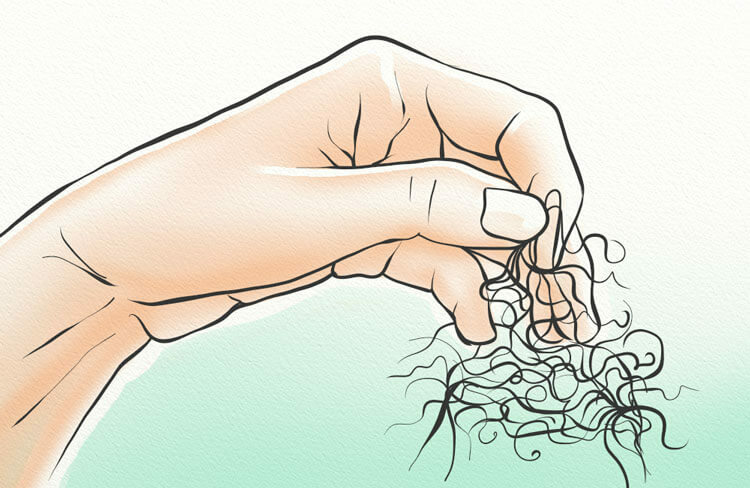 But are there ways to combat excess hair loss when it occurs at the root? To better understand the role that the bulb plays in hair loss, it’s important to understand the process of hair growth. Anagen. This is the phase of active growth, and it lasts anywhere from two to six years. At this point in the cycle, rapid cell development is occurring. This results in the formation of the lower portion of the follicle, known as a bulb. Catagen. As the transition phase, active growth ceases and the hair follicle begins to be pushed from the papilla. This lasts from a few days to a few weeks. Telogen. This is the resting phase, where very minimal cell activity is taking place. At this point, a new anagen hair is forming under the surface and will soon push the telogen hair (along with the white bulb) from its follicle. Exogen. 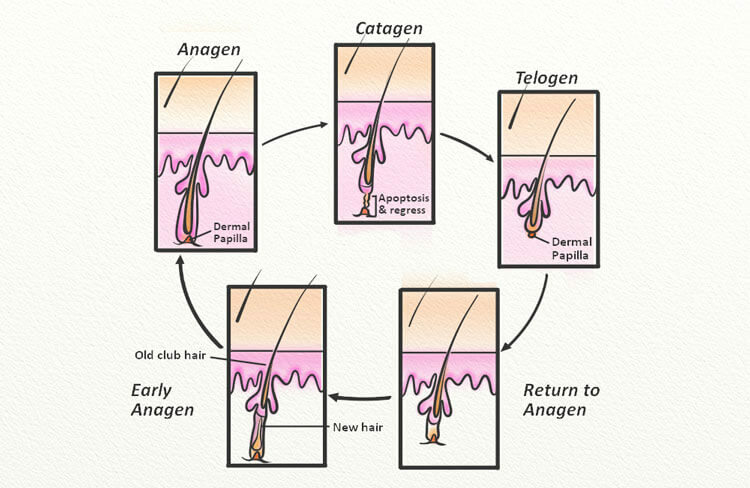 The stage in which telogen hairs are shed, and newly-formed anagen hairs push through the follicle. During this stage, 50 – 100 hairs are lost per day. One thing to keep in mind is that your hairs are at different points in the cycle. While anywhere from 70 – 85 percent of your hairs are currently in anagen phase, another 5 – 15 percent are currently in telogen phase. This means that hair loss should be fairly consistent throughout the year (unless, of course, you suffer from hair loss). White Bulb and Hair Loss – Are They Connected? If it’s normal for a white bulb to be present on the end of a telogen hair shaft, does this mean that hair loss is imminent? While an increase in hair loss is indicative of present (and perhaps future) hair loss, it doesn’t necessarily mean you’re doomed. So, if hairs with white bulbs aren’t a good indicator of hair loss, what are some signs you can look out for? Of course, another possible indicator of hair loss is a genetic predisposition. Now, just because your male relatives suffer from hair loss doesn’t mean you will. However, it’s best to err on the side of caution and pre-treat the condition. As mentioned above, the presence of white bulbs doesn’t always mean that hair loss is an issue. However, there is a condition characterized by excessive hair loss while in the telogen phase. Let’s take a closer look. This occurs when too many hairs on the scalp enter telogen prematurely, and active growth ceases. This results in diffuse (all around) thinning. If you’ve noticed an increase in hair loss with a white bulb presence on the end, you may very well be suffering from this condition. Fortunately, this condition and usually short-lived and can be treated in a number of ways. If you’ve noticed an increase in your hair loss, there are some things you can do to put an end to the nightmare. Let’s take a closer look. Your hair – just like other parts of your body – requires proper nutrition and mineral support. This means that a diet lacking in necessary vitamins and minerals can lead to acute (or even chronic) hair loss. Fortunately, effluvium caused by diet deficiencies can be reversed. First and foremost, it’s important to pinpoint your body’s nutritional needs. This will vary from person to person (depending on gender, weight, BMI, age, and other such factors) but can be determined with the help of a trained medical professional (such as a dietitian). Second, you’ll need to have the dedication to perform an entire diet overhaul. This can be difficult for some, but it’s an absolutely essential step if you’re looking to put an end to hair thinning and loss. Dairy: This highly-acidic food group is one that can cause delayed allergic reactions and can be difficult to digest after pasteurization. 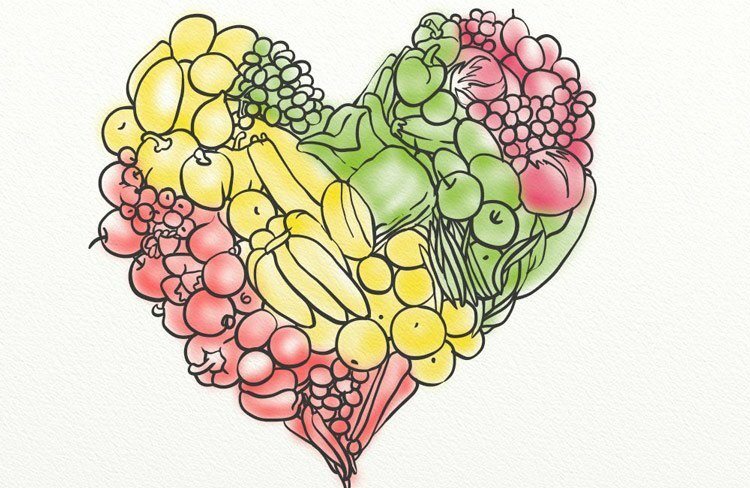 This means consumption can lead to systemic inflammation and digestive imbalance. Sugary cereals: Foods that are high on the glycemic index – such as sugary cereals and grains – lead to spikes in blood sugar. Over time, this can lead to insulin resistance (which may be linked to early-onset Androgenetic Alopecia) (4). Greasy foods: A diet high in greasy foods can clog the pores and hair follicles; this leads to hair miniaturization, blood flow restriction, and eventual hair loss. With these foods added to your diet, you can ensure that your body (and your hair) is getting the nutrients it needs. This will help to improve overall health and contribute to stronger, more stable hair. As stress is a major cause of telogen hair loss, one of the best things you can do to put an end to it is taking part in stress-relieving activities. One such activity is controlled breathing. Through calm and intentional breaths, you can lower cortisol levels and increase oxygen intake. This will decrease free radical activity (which can lead to further signs of aging, including hair loss and wrinkles) and improve the growth of healthy hair. Other forms of stress relief exist as well. These include meditation, yoga or tai chi, and massage. 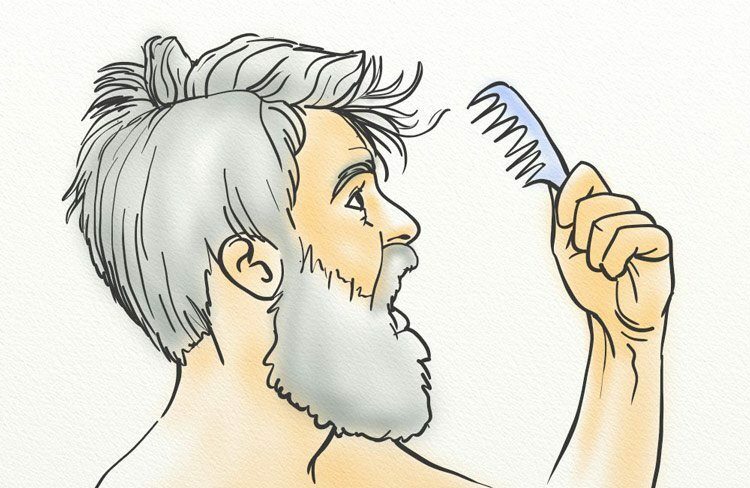 The above two techniques are beneficial for long-term health and hair growth. But if you want to take a more direct route to stopping hair fall, consider scalp stimulation. 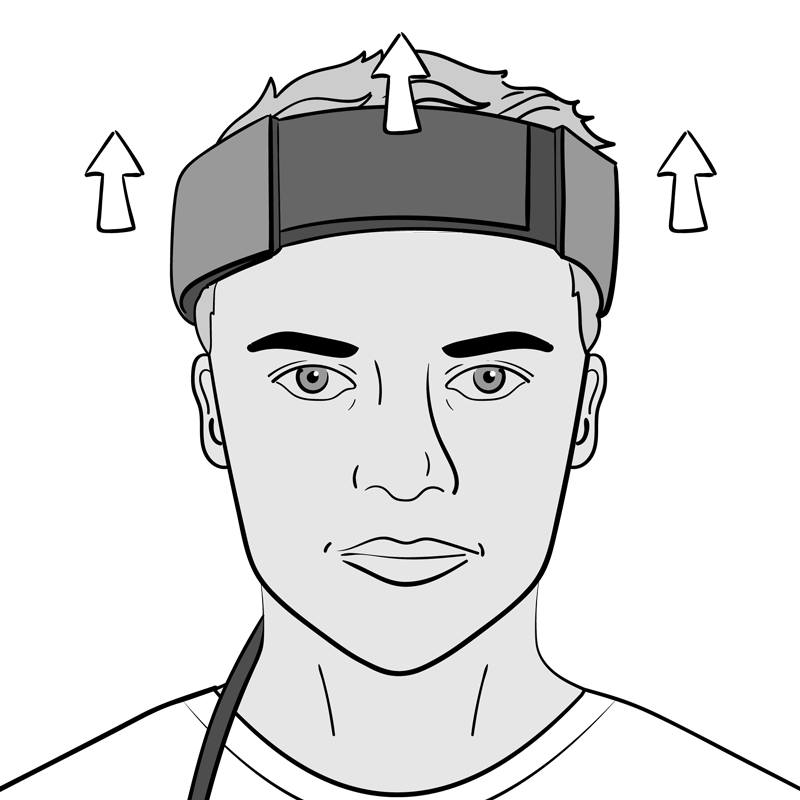 Scalp stimulation is physical manipulation of the scalp that takes place in various forms. The most popular include massage, scalp exercises, and microneedling. And best of all, scalp stimulation has proven to be beneficial in combating hair loss. How? As briefly mentioned above, there are various parts of the hair follicle that play a role in hair growth. One of the more important structures, though, is the dermal papilla. The dermal papilla is the structure at the base which connects the follicle to blood vessels. These blood vessels deliver oxygen and nutrients and, as such, a strong connection is critical. By stimulating the scalp, you can naturally increase blood flow to the follicles and ensure adequate oxygen and nutrient levels. 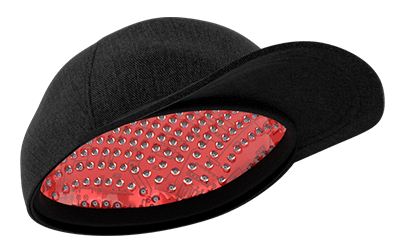 But there’s one more benefit to scalp stimulation, and to microneedling in particular: cell proliferation (5). According to a study performed in 2013, microneedling is able to stimulate hair growth in men with AGA (6). This has even been shown to be successful in men who had previously failed to respond to other hair loss treatments (7). 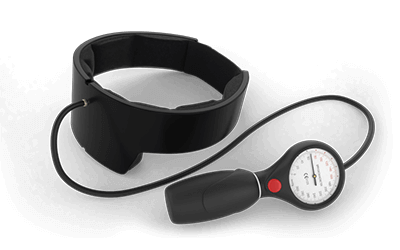 While you won’t see immediate results, you can use scalp stimulation in conjunction with the other methods mentioned above for a more thorough approach. The loss of hair containing a bulb is a completely natural occurrence. In fact, such hairs can be shed anywhere from 50 – 100 times per day. However, a problem occurs when more hair than that is shed. Whether through AGA, telogen effluvium, or alopecia areata, an increase in hair lost with a white bulb attached can be treated. This will involve a natural, multi-step approach (such as the one outlined above). Sue, don’t wait. I did and it only got thinner. I figured it was going to get better… or “it was just a phase”… nope. The result was thinner hair and more to do to recover it. People don’t notice it but I do. Luckily I was blessed with very thick hair. Now, though, it is a third of what it was and my “buffer zone” is depleted. Wished I had started earlier to get serious about it. I think this is my problem. In addition, my scalp goes through phases of hurting…. like a part was made in the wrong direction… and it is all over but particularly at the crown. Then, I try a massage/wash with vinegar or massage in magnesium oil (which greatly reduces the amount of shedding). Both help with the pain… especially the vinegar. Is it typical for the hairs to hurt at the root … maybe before falling out? The dermatologist will do a punch biopsy. I’m not sure if this will lead anywhere because the MD already said to try biotin and minoxidil (which I will do neither: nothing internal without amounts/duration/labs discussed and I’m never taking minoxidil for all the known reasons). Btw, I thought I might regret putting vinegar on my fine hair. To my surprise, I loved the softness & shine it gave. Hair loss of not, I will always used vinegar on my hair and scalp. It looks and feels so good. We’re glad that vinegar has been such a help for you! When hairs hurt at the root, it’s commonly a sign of overstyling. It can also be a general sign of inflammation/irritation. Please my hair has been pulling from the root with white bulb. How can I stop it because am seriously worrying about it. Hello Elixier, you could start by reading our Scalp Secrets guide. Even if I try oiling with oilve oil or castor or coconut my hair falls in clumps while washing and brushing.. I have been looking my hair for a year now. It also come with pain on the crown of my head and sore roots. I lost 50% of my hair now. Bunch of MD visits tests with no results. Please help me to figure out how to stop it. Hi, My hair has been thinner since last year after some stressful events, also tried a diet in the years before that had a lot of soy and I think it might’ve caused hormonal changes. It doesn’t seem to be getting any thinner, nor getting any thicker. Hairs have fallen out, some with no white bulb, some with a white bulb, not necessarily in clumps, usually single strands, probably no more than ten a day at the most, but it’s hard to tell sometimes; but the problem is that my hairs have always been very fine, even when I had a lot more; it just flopped over my head like a mop and held no shape, but I liked it long like that. The problem is that my hair doesn’t seem to be growing; it just seems to have stopped completely, very little has changed with my hairline. I’ve always had slow-growing hair too, I always hated going to the hairdresser’s as a child, because if they cut it bad; people would tell me “It’ll grow back in a week or two” but it usually took me three months minimum for the hair to grow back to the way it was. But I really just wanted to ask: how can I tell if it’s TE or Male Pattern Baldness? Nobody else in either side of my family seems to have MPB and it doesn’t seem to have a pattern, there’s o hairline changes or bald spot, just general thinness of the scalp, temples and a small verticle line on the back of the head, at some stages it looked like I had a three-pronged hairline like a pitchfork. Nowadays it looks like a general thinness of the scalp, it can by styled over somewhat, but it’s worst in direct sunlight, It hasn’t gotten worse but I’m concerned that it could get worse if I don’t take action now. But I’ve heard that MPB can sometimes happen when nobody else in your family appears to have it, because they carry the genes but it has yet to be triggered by something like stress or hormonal changes. And I’ve heard that MPB sometimes doesn’t take the common form of a bald patch and receding hairline; that sometimes it appears as a general thinness. I would’ve been fine with baldness if I didn’t have such an ugly-shaped conehead skull. I was convinced it was TE, and I’ve made dietary changes, trying to reduce my stress, taking vitamin capsules, still early days but it seems to have had little to no effect. I was told that TE reverses itself once the issues have been properly addressed; but it seems to have stayed at the same general volume, with single hairs still falling. I really just want to know how I can tell the difference between TE amd MPB, before I try using Finasteride or Minoxidil. Since they are expensive, lifetime treatments that I’m not sure I can afford longterm. I don’t want to try them if they’re not going to change the condition or even aggravate it. And I have no evidence to suggest it is MPB other than the fact that TE hair loss probably would’ve resolved by now. Is their any particular other signs I should look out for? Hello CJ, it doesn’t sound like the typical andorgenetic alopecia, especially given that you don’t think it runs in your family. Stress is almost certainly playing a critical role in your declining hair health. The good news is, recovering from stress induced hair loss can be quicker and easier than from genetic pattern baldness.